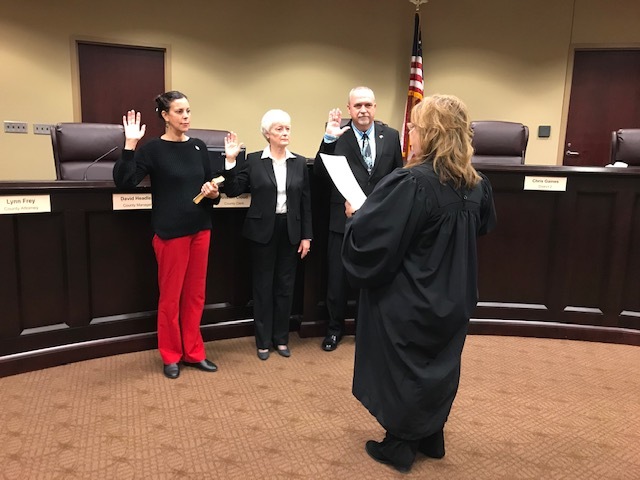 DAWSONVILLE, Ga. – Probate Court Judge Jennifer Burt administered the oath of office and the loyalty oath to three of Dawson County’s elected officials Thursday. 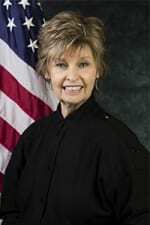 Burt has been the county’s probate judge for nearly a quarter of a century. Tim Satterfield is the new member of the Board of Commissioners. He is certainly no stranger to Dawson County. 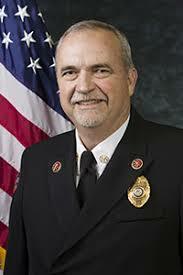 Tim was elected following a stellar 41-year career as firefighter and in emergency services. 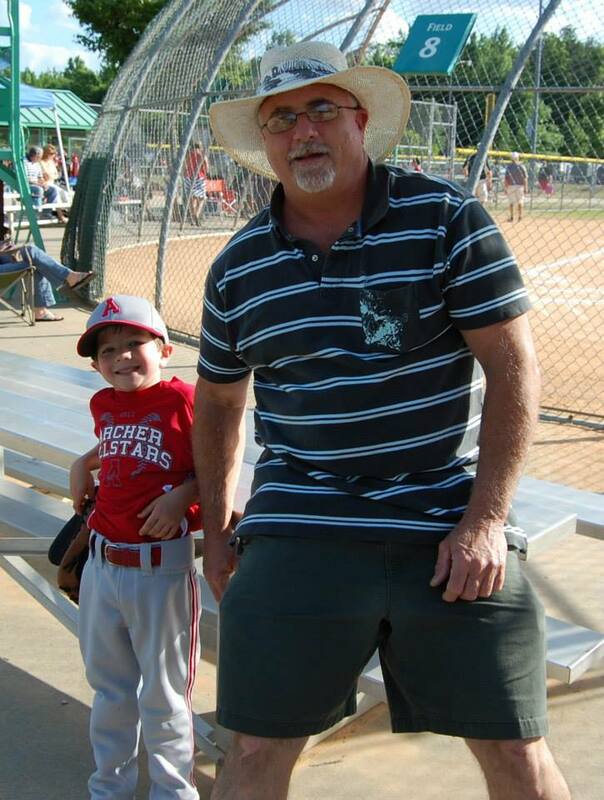 He was accompanied by his mother Reba Satterfield. Who held the Bible that he placed his hand on while being sworn in. District 1 Commissioner Sharon Fausett took the oath of office for the second time and she was accompanied by her grandson Blake Fausett. “This is why I do what I do,” Fausett said, speaking of her grandson. District 3 School Board member Karen Armstrong was also sworn in for her second term. School Board Chairman Will Wade was scheduled to be sworn in Thursday, but he and his family were out of town for the holidays, so he was administered the oath of office earlier. 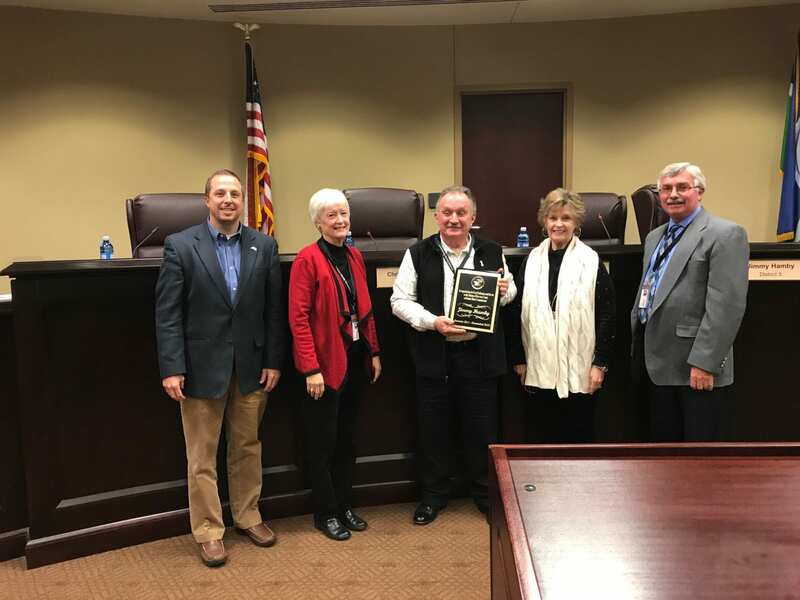 DAWSONVILLE, Ga. — The Dawson County Board of Commissioners had a busy work session agenda Thursday, but took time out to honor two individuals for very special accomplishments – County Manager David Headley and District 3 Commissioner Jimmy Hamby. 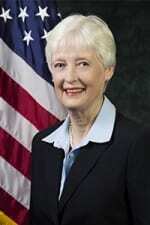 Hamby will be retiring from the Board at the end of the month following eight years in office. The Board presented him a plaque in honor of his dedicated service to Dawson County and held a reception for him following the meeting. County Manager David Headley was named as the Georgia Mountains Regional Commission Appointed Official of the Year recently. The region covers 13 counties and 51 municipalities. “We’re proud of David and his recognition as Official of the Year,” said Commission Chairman Billy Thurmond. Public Works Director David McKee addressed the Board on several issues. The first was a course aggregate contract bid submitted by Vulcan Materials in the amount of $161,664. The current contract has expired and all renewal year options have been exhausted. The department has a full-time paving crew on staff to perform the Local Maintenance Improvement Grant work and several miles of other road work and parking lot repairs. The current contract to purchase hot asphaltic mix has also exhausted all renewal years and Mckee asked the Board to accept contracts with Baldwin Paving, Blunt Construction and CW Matthews Contracting to provide the product. Each company offered the low bids on the various items required. Mckee brought another long-standing issue of the intersection of Lumpkin Campground Road and SR 53 before the Board. He pointed out the county has partnered with Georgia Department of Transportation (GDOT) to install a right-hand turn lane along the Lumpkin Campground mainline. SR 53 traffic will not be changed. Upon completion, GDOT will adjust all traffic signals. The project qualifies for SPLOST VI funds, Impact Fee funds or General Fund. Commissioners also discussed a highway beautification project. The county has been looking for ways to landscape areas along the GA 400 Corridor that are within the GDOT right-of-way for 10 years. The project requires special encroachment permits, and a memorandum of understanding (MOU) on the long-term maintenance of this corridor. In September, the project was bid and two bids were received with a total bid cost was $116,246.85, which is $69,556.85 over the total grant amount. The project is not SPLOST VI eligible, and additional funding will have to come from another source such as the general fund. McKee asked the Board for direction on the project. Planning & Development Director Jameson Kinley presented a review of the 2018 comprehensive plan. The purpose of the plan to provide guidance for everyday decision making by local government officials and other community leaders. It represents the efforts of the government, the residents and various stakeholders by identifying the critical issues and goals for the communy. The plan has been approved by the Georgia Department of Community Affairs. The Board can amend the plan at any time. Commissioners unanimously approved a request by Kinley to add a summer intern to work on Geographic Information System issues within Planning and Development. The position is fully funded by the Association County Commissioners of Georgia. 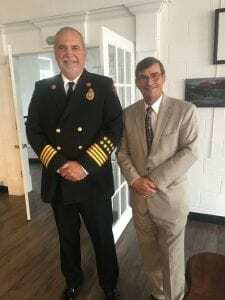 Dawson County Fire and Emergency Services Director Danny Thompson asked for Board approval to apply for the annual Georgia Forestry Commission 50/50 grant program. The maximum allowed on this grant is $10,000.00. Thompson said the grant is needed to purchase replacement fire hoses, nozzles and scene lights. This grant will not be awarded until spring of 2019. Commissioners unanimously approved Thompson’s request to apply for the Georgia Department of Public Health (DPH) Injury Prevention Program. The program is designed to provide funding to public safety agencies in Georgia. DPH provides Dawson Fire/EMS with six convertible and four high-back booster child safety seats monthly to issue to citizens. The grant requires no county match. Senior Services Director Dawn Pruett asked the Board to approve the annual contract with Deanna Specialty Transportation, Inc. to provide specialty transportation within the county. The company reimburses the county for senior client rides. Commissioners also discussed the following board appointments/reappointments: Tax Assessor Board, Jim Perdue; Department of Family and Children Services Board, Nancy Stites replacing Vickie Porter; Planning Commission John Dooley Chairman, Jason Hamby, John Maloney, Tim Bennett and Neil Hornsey. DAWSONVILLE, Ga. – Approval of Dawson County’s $27.1 million FY 2019 budget will have wait a few more weeks after commissioners made several recommendations, including the elimination of one new position in the fire department, hiring the position of public information officer and extending library hours during Thursday’s third public hearing. 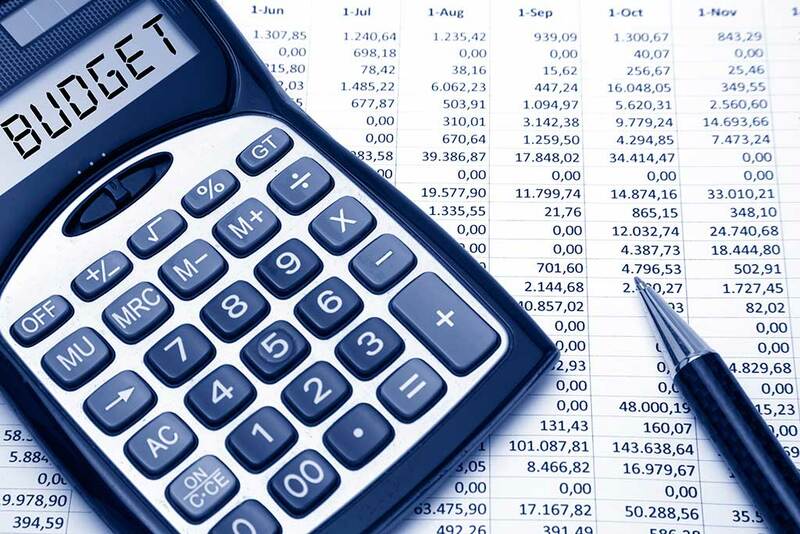 Commissioners voted to table budget approval while Chief Financial Officer Vickie Neikirk calculates the impact the recommendations will have on the final budget. The proposed budget called for hiring a new fire training officer at a cost of approximately $61,000 annually. District 2 Commissioner Chris Gaines recommended that current personnel provide the training in addition to their normal roles. He also proposed awarding the department an additional $15,000 of overtime pay to compensate officers for the additional responsibilities. The savings would be approximately $46,000. “By allocating those resources, it would be a little more efficient,” Gaines said. The county is attempting to address important needs that have existed for a long time but could not be addressed due to the recession and recovering economy. County commissioners have long felt the need to improve communications with the public and District 4 Commissioner Julie Hughes-Nix recommended the county hire a public information officer to perform those responsibilities. District 1 Commissioner Sharon Fausett asked for a breakdown of cost to provide extended hours for the Dawson County Library’s satellite office on Hwy. 53. “I don’t think it speaks very well of us when people come and it is closed,” she said. The satellite office is currently opened on Mondays from 9 a.m. until 1 p.m. and Thursdays from 1 p.m. until 5 p.m.
No citizen rose to speak in opposition to or in favor of the budget. Commissioners voted 3-1, with Dist. 2 Commissioner Jimmy Hamby opposed, to postpone several requests for annexation of property into the city of Dawsonville for two weeks. A request by Board of Tax Appraisers Chief Appraiser Elaine Garrett to approve a contract for the services of an additional appraiser for the current year and next tax year. 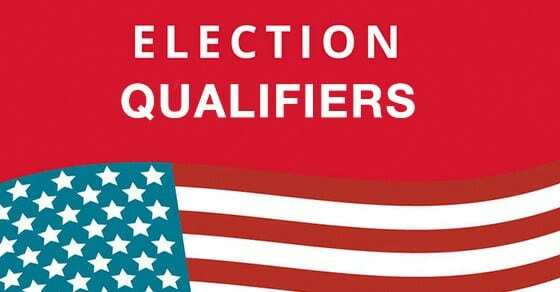 DAWSONVILLE, Ga. — Scott Allen, who qualified to run for the District 3 seat on the Dawson County Board of Commissioners, announced this week that he is no longer a candidate. His withdrawal from the race means that Tim Satterfield, a 41-year fire service veteran, will become the District 3 commissioner in January. 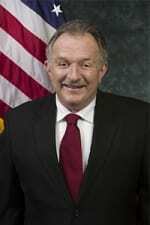 Former Sheriff Billy Carlisle announced his intentions to run for the post, but he too withdrew after learning that Satterfield entered the race. The District 3 post is held by Jimmy Hamby, who has decided not to seek a third term in office. Elections Superintendent Glenda Ferguson said today that Allen filed an affadavit of withdrawal early enough that his name will not appear on the election ballot. DAWSONVILLE, Ga. – In a rare occurrence Thursday, the Dawson County Board of Commissioners reversed a decision by Planning and Development Director Jason Streetman to grant a setback variance for a convenience store located at the intersection of Hwy. 53 and War Hill Park Road. Business owner Dipikaben Patel requested a 10-foot front setback variance along Hwy. 53 and a five-foot side variance along War Hill Road to allow the construction of a gas tank canopy. Streetman granted the variance, but several area residents spoke in opposition to the variance at the appeal during Thursday’s meeting and Commissioners Jimmy Hamby, Julie Nix and Sharon Fausett voted to deny it. Hamby questioned why the owner couldn’t extend a canopy closer to the store rather than the right of way. An engineer speaking on behalf of the owner said it would be impractical since it would limit available parking space. Also, commissioners approved a request by Brodie Allred, speaking on behalf of Norkot Financial, Inc. to rezone 46.73 acres on Moss Road from Residential Agriculture (RA) to Residential Sub-Rural (RSR) for a 30-lot single-family residential community. The vote was 3-1 with Fausett opposed. The board took no action on several requests by residents of the Gold Creek community to have their property annexed into the city of Dawsonville, leaving the decision in the hands of the city, which is scheduled to hear the requests during the March meeting. Commissioners unanimously approved a contract with SEI, Inc. to design the Blacks Mill Bridge replacement at a cost of $33,700 and the appointment of Angelia Brown to the Avita Community Partners. Tim Satterfield received the “Hero” award from Bill Kokaly, a representative of U.S. Congressman Doug Collins in September. DAWSONVILLE, Ga. – Former Dawson County Deputy Emergency Services Chief Tim Satterfield announced today (Feb. 12) that he is a candidate for the District 3 seat on the Dawson County Board of Commissioners. Satterfield retired last month, following a stellar 41-year career. He gained national recognition while specializing in canine search and rescue and has taken part in more than 50 state- and federal-level missions, including water search, arson, bomb disaster search and work with missing and abducted children. He was state coordinator for the urban search and rescue team and was one of the first of 12 team members in the U.S. to be certified in child abduction response. His K-9 unit received the Marguerite Brock Rescue Award from the Emergency Management Association of Georgia. Satterfield believes the county can obtain grants to help accomplish those goals and reduce the cost to taxpayers. He stated, “I did some (grant writing) when I worked in fire services, and I believe my experience in that could be helpful. Satterfield will run for the position being vacated by Commissioner Jimmy Hamby who has announced he will retire at the end of his term. DAWSONVILLE, Ga. – The Dawson County Board of Commissioners voted unanimously to deny a zoning application by Dawson Forest Holdings to build 177 single-family homes and 95 townhomes near Hwy. 53 and Elliott Road during Thursday’s commission meeting. Dawson Forest Holding attorney Joshua Scoggins, of Miles, Hansford and Tallant, threatened to sue the county if commissioners voted to deny the application. However, commissioners stood their ground and sided with area homeowners who have repeatedly voiced strong opposition to the development. 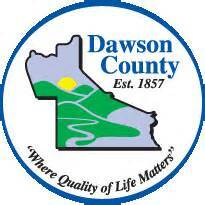 Commissioners tabled decisions on approval of a budget for the Development Authority of Dawson County and the Impact Fee Methodology Report. A revision of the Animal Control Ordinance that prohibits the use of tethering as the primary means of animal confinement was unanimously approved. Commissioners also approved a request by Emergency Medical Services (EMS) Director Lanier Swafford to apply for a Georgia Trauma Commission Non-Competitive EMS Equipment Grant in the amount of $5,371.91. The grant requires no county match. During the public comments portion of the meeting, District 3 Commissioner Jimmy Hamby surprised many in attendance when he announced that he would not seek re-election. 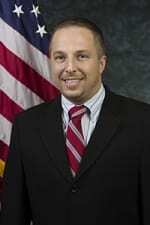 Hamby will end his second term as commissioner December 31. 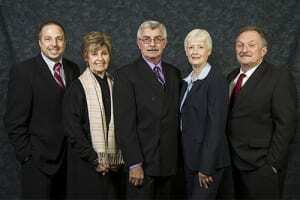 FetchYourNews will have a report Tuesday, Jan. 23, on Hamby’s decision.